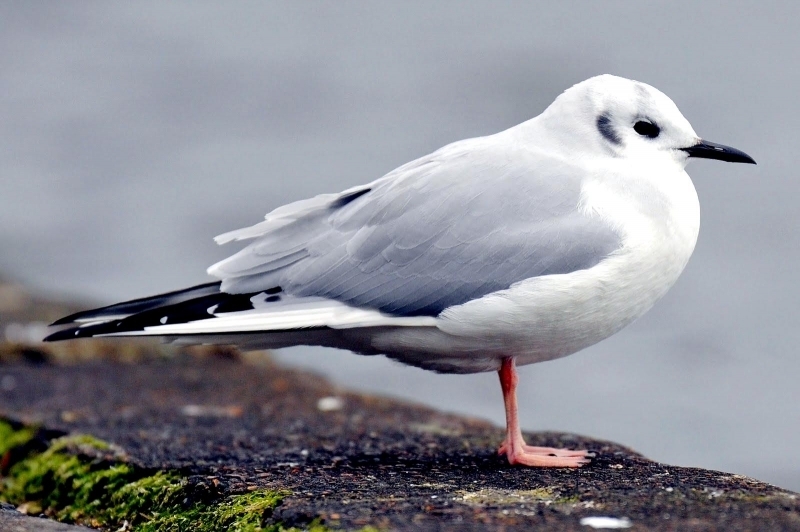 The Bonaparte’s Gull is a small gull. 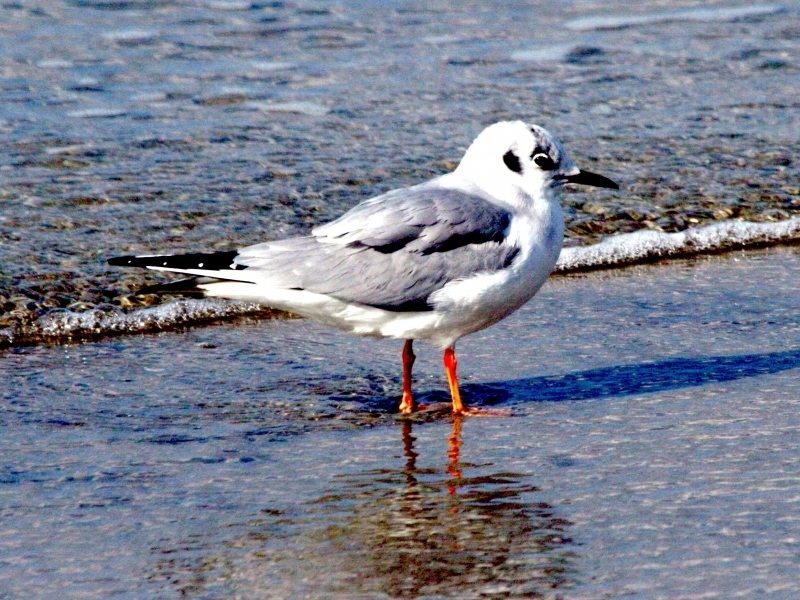 Adults are 31–34 centimeters long with a 79–84 centimeters wingspan. 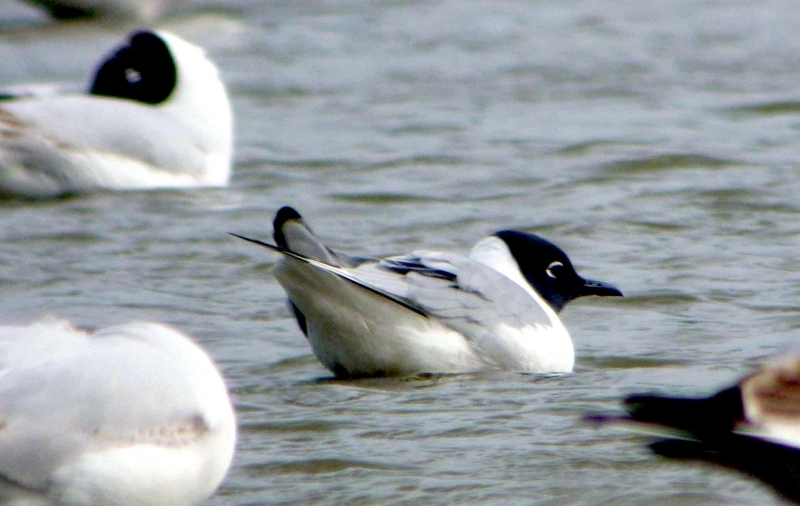 They have a black hood and a short thin dark bill. 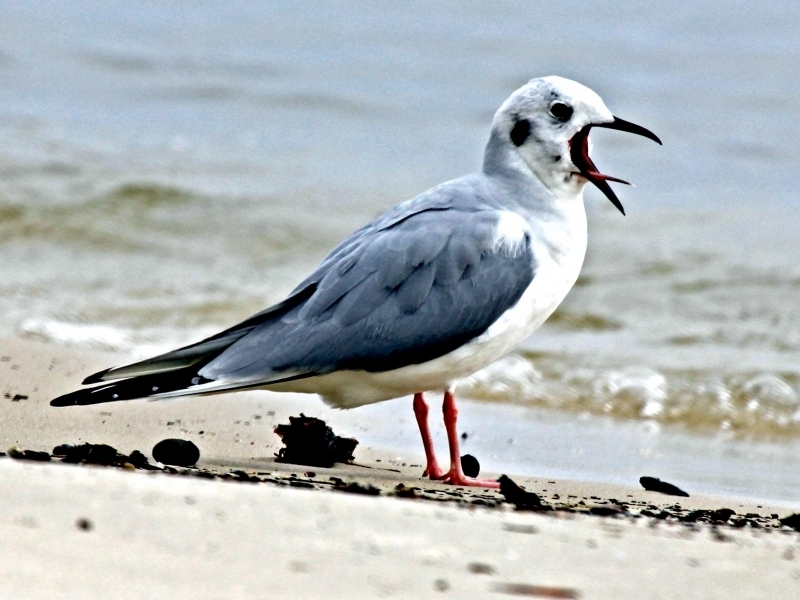 The body is mainly white with pale gray back and upper wings. 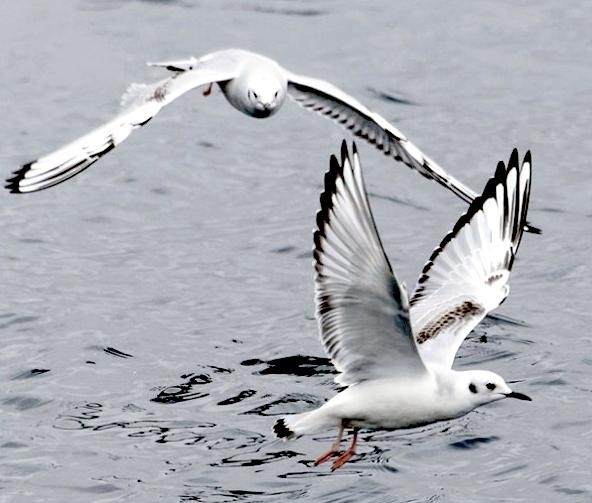 The under-wing is pale and the wing tips are dark. 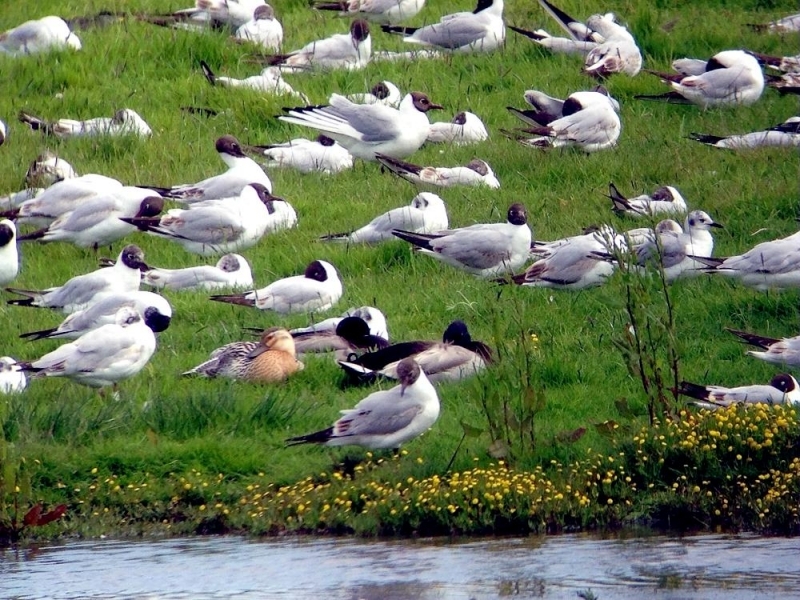 They have orange legs. 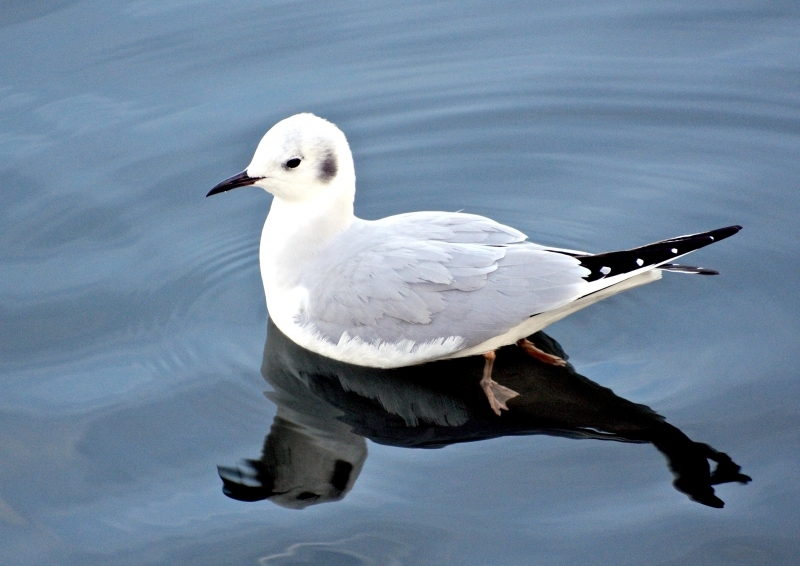 In winter, the head is white. 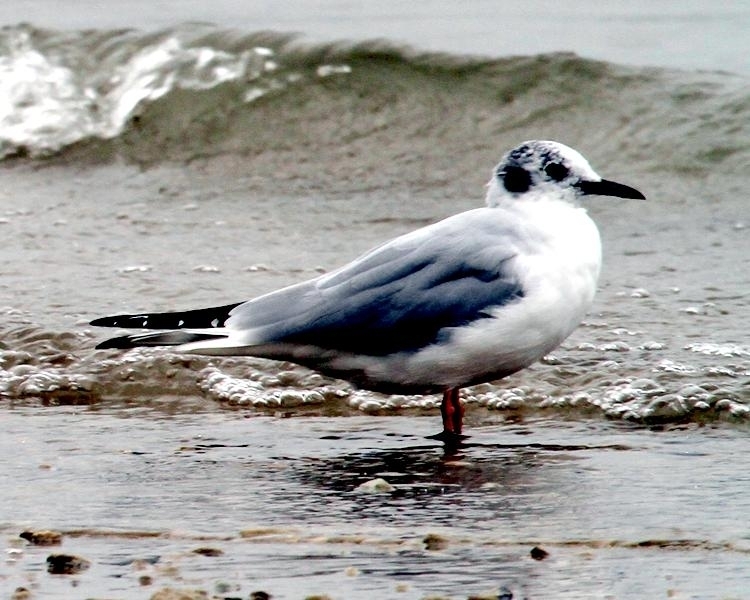 In their first summer, the appearance of Bonaparte’s Gull is similar to that in its first winter, but paler due to wear. 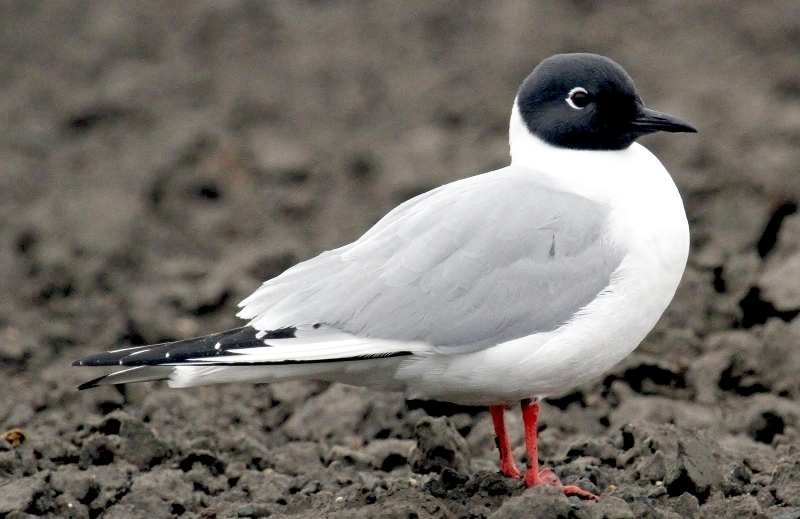 The Bonaparte’s Gull was named after Prince Charles Lucien Bonaparte, a zoologist and nephew of Napoleon. 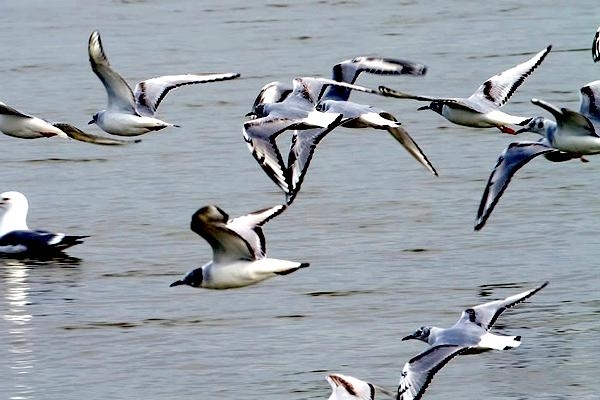 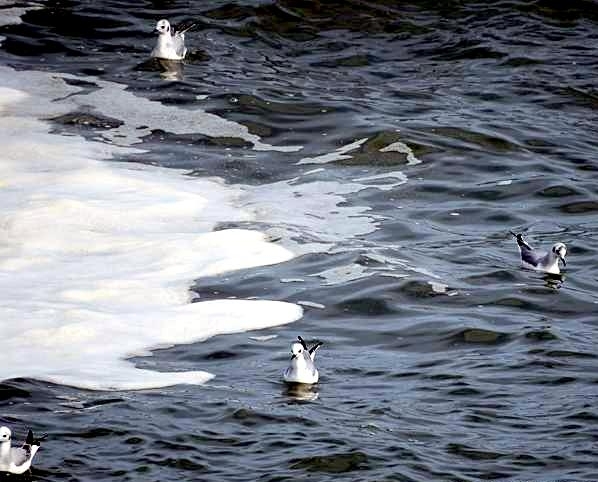 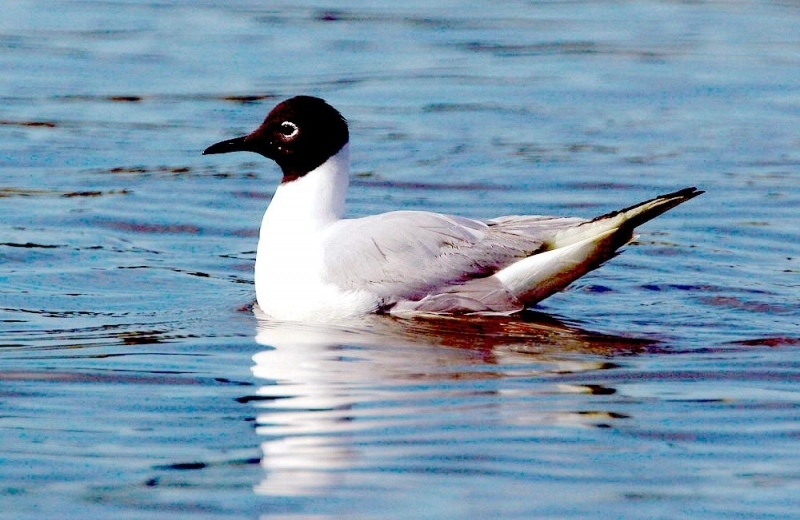 The Bonaparte’s Gull has a large range, covering an estimated 4,300,000 square kilometers. 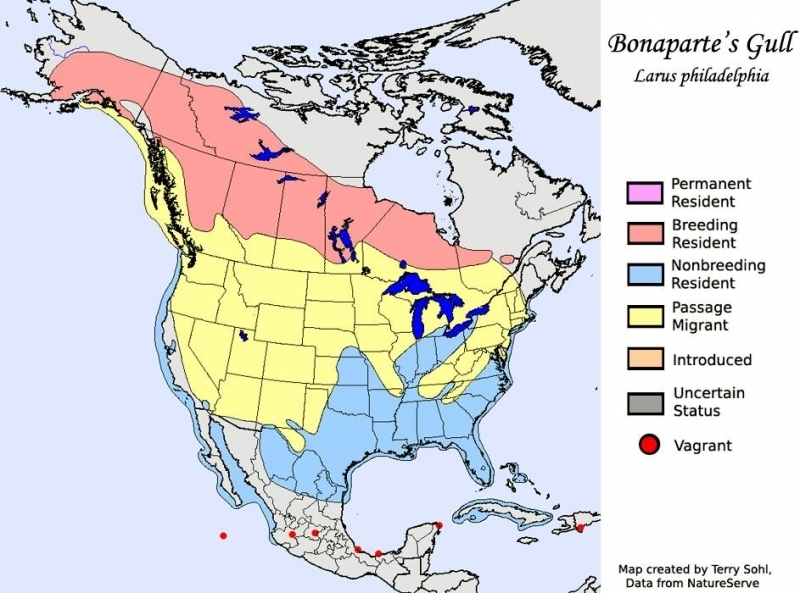 It is native to North and Central America, though it is now found in many parts of Europe. 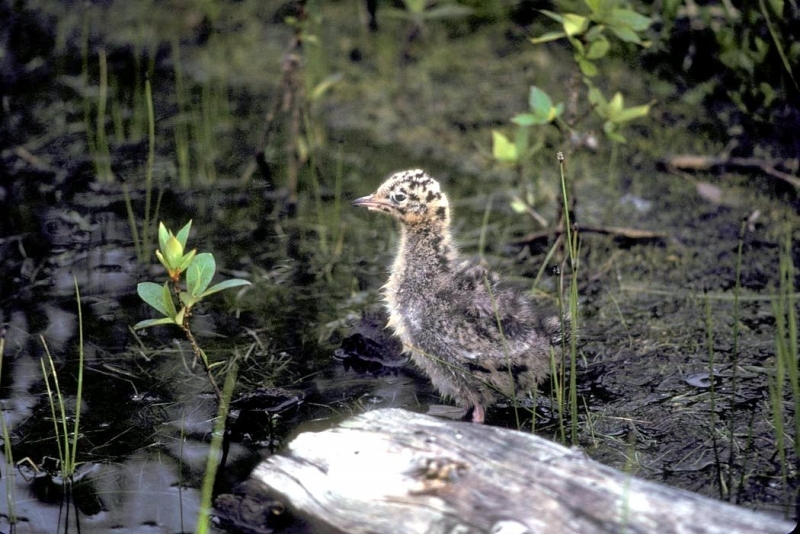 It prefers a habitat of boreal forest, inland wetlands or coastal marine areas. 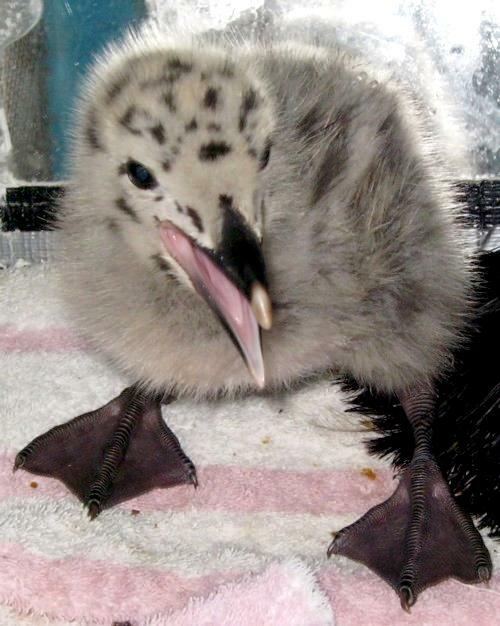 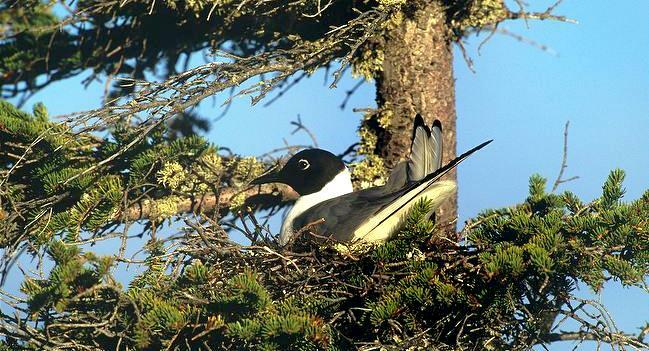 The global population of this seabird is estimated to be between 260,000 and 530,000 individuals. 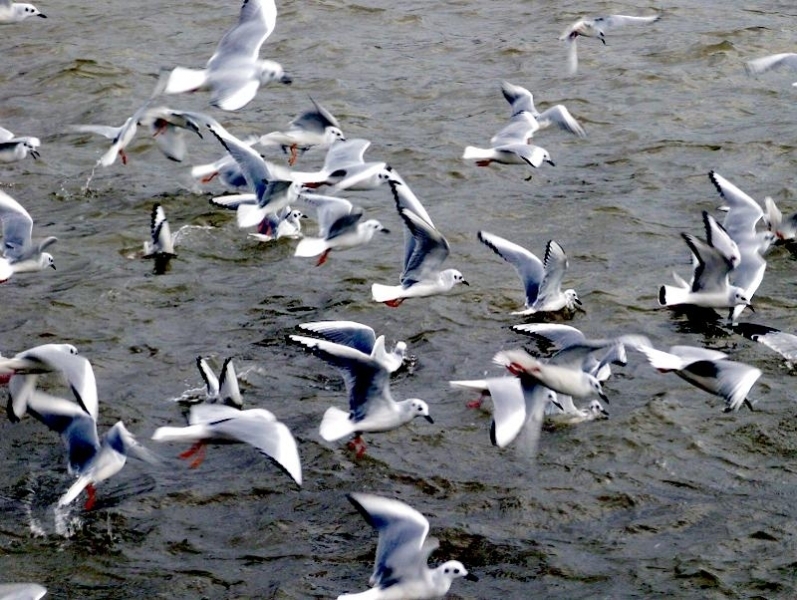 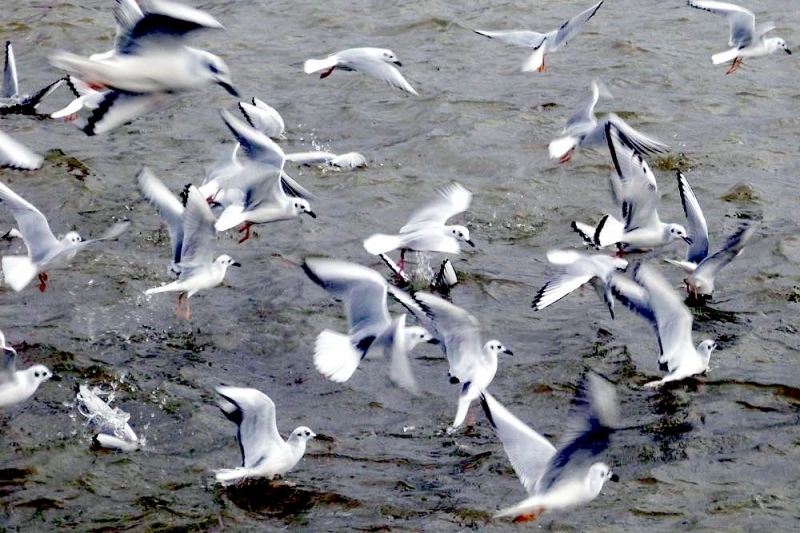 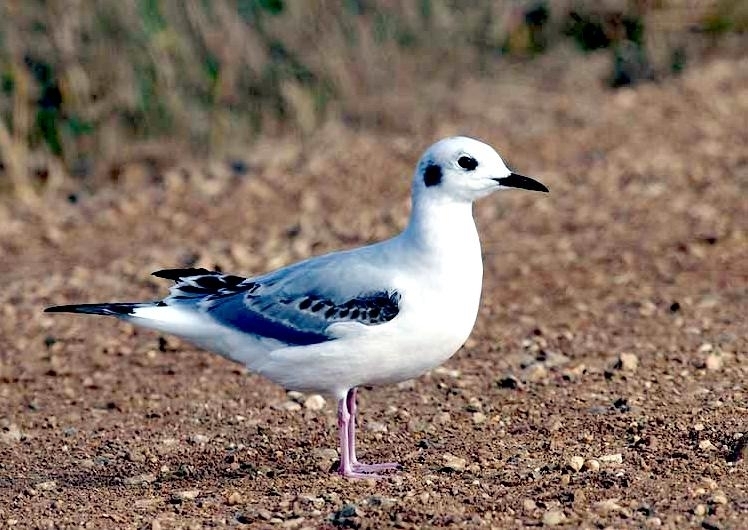 They are different than many other gulls in that they rarely visit garbage dumps. 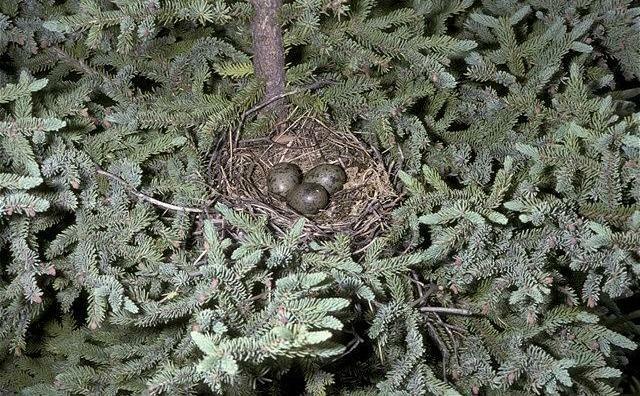 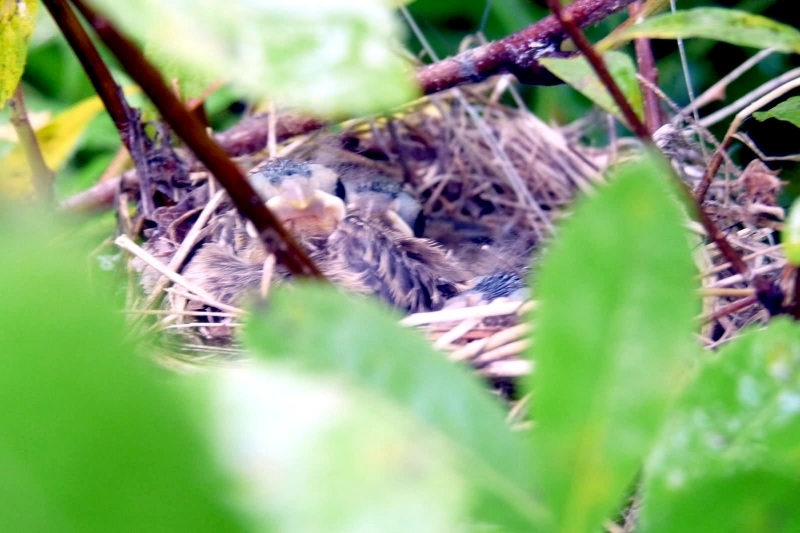 They are also unusual in that they nests in trees instead of on the ground. 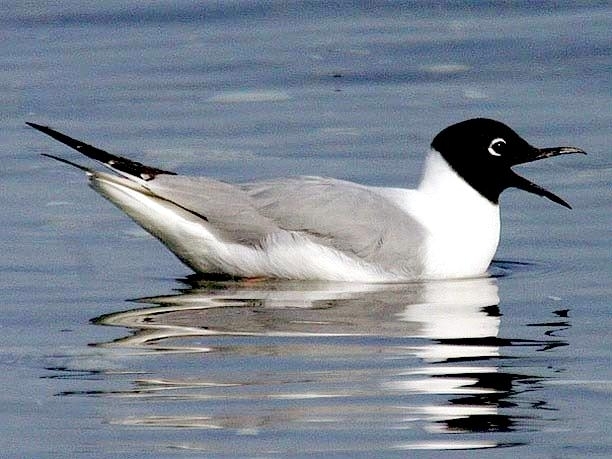 During the summer breeding season, they are found along lake shores and riversides bordered by coniferous forest. 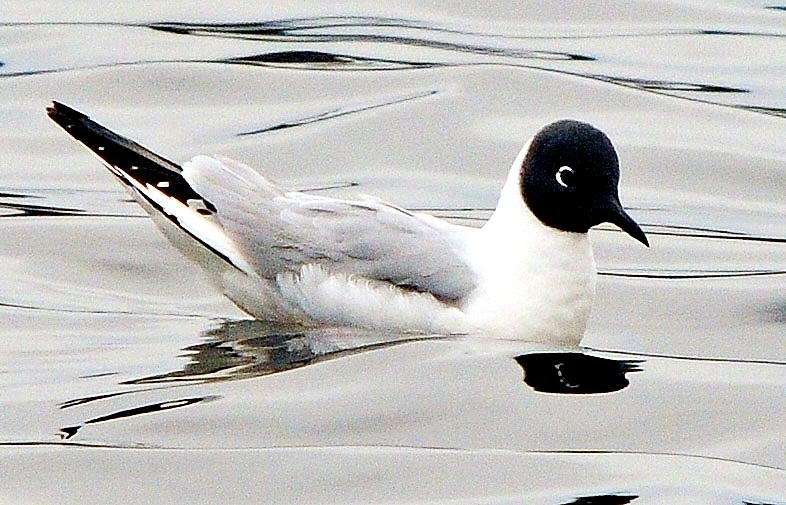 The Bonaparte’s Gull is not a typical “gull”. 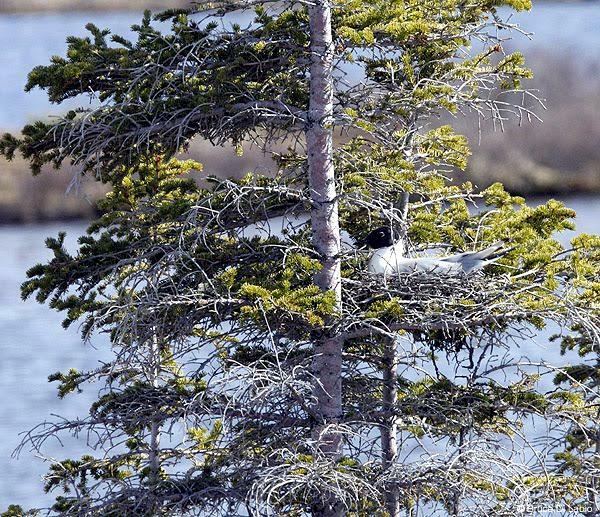 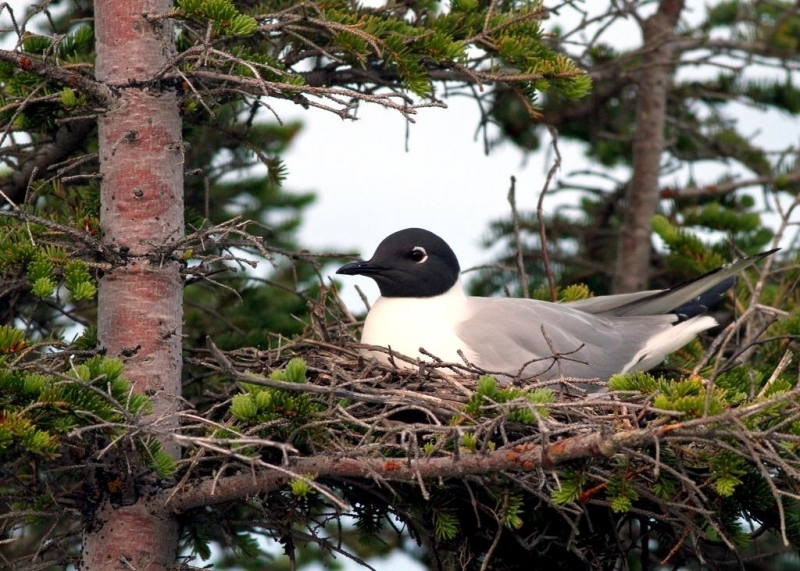 It’s light body, long wings and buoyant flight make it look more like a tern and unlike any other gull, the Bonaparte’s Gull nests in pine trees near water. 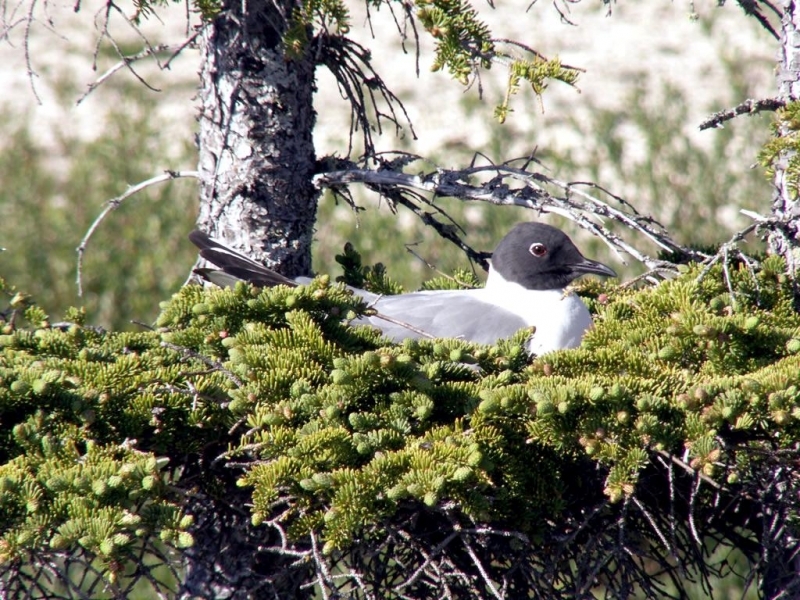 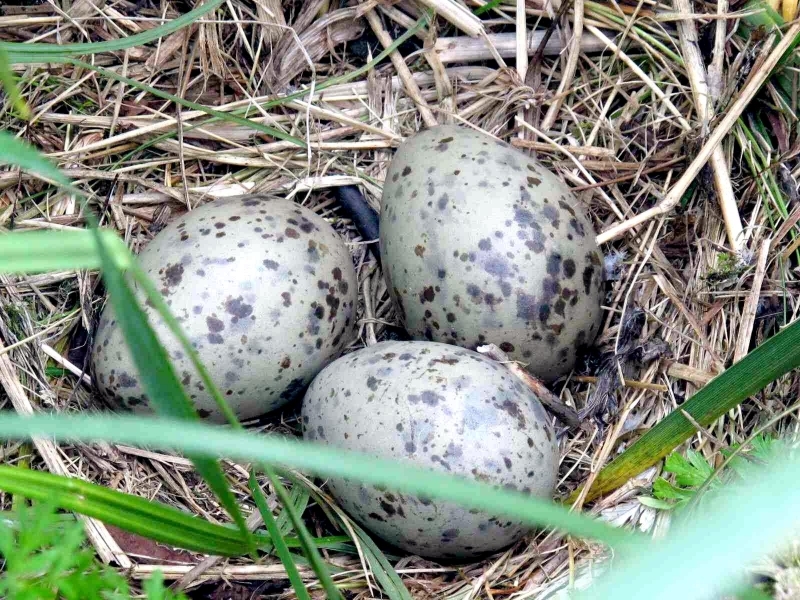 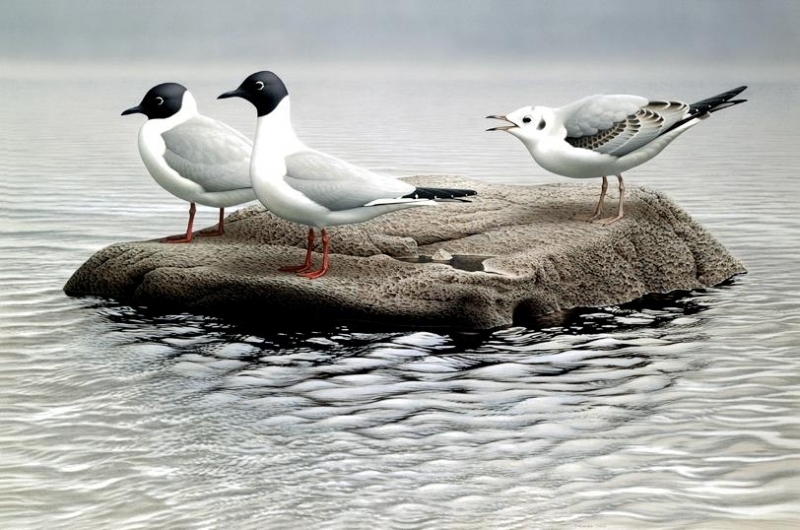 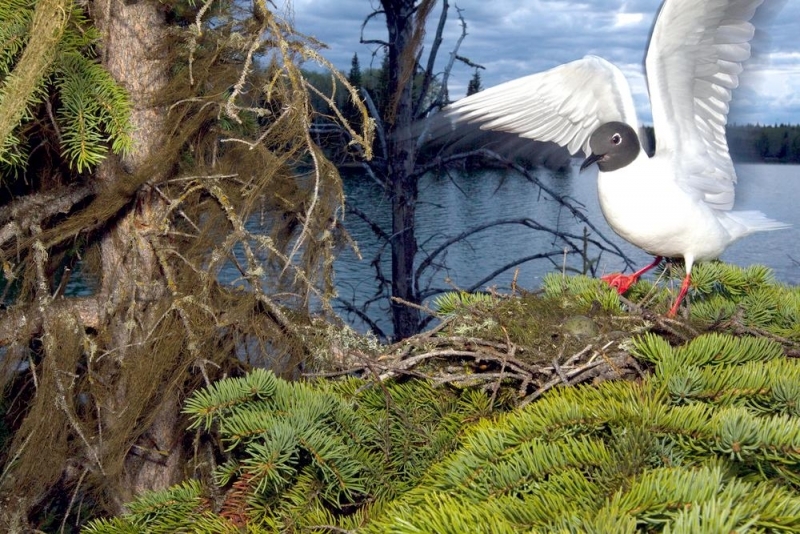 Bonaparte’s Gulls build shallow nests of small sticks & twigs, lined with grasses and moss. 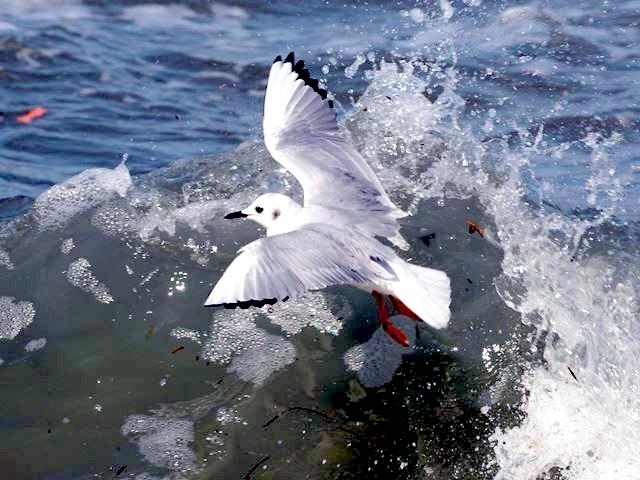 Foraging over coasts and the open ocean during winter, preferring plankton, insects and fish. 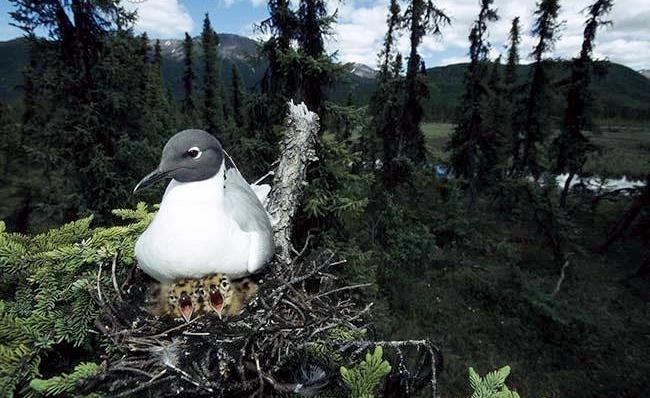 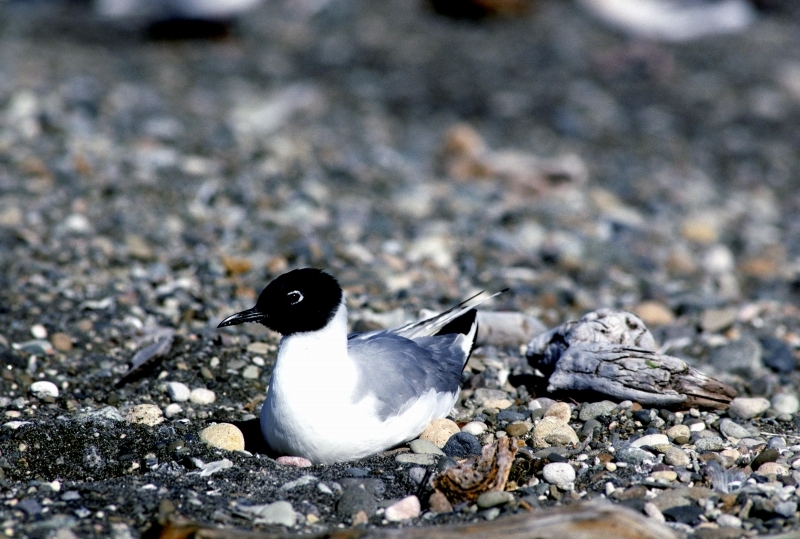 The Bonaparte’s Gull winters near people, but breeds in the isolated boreal forests. 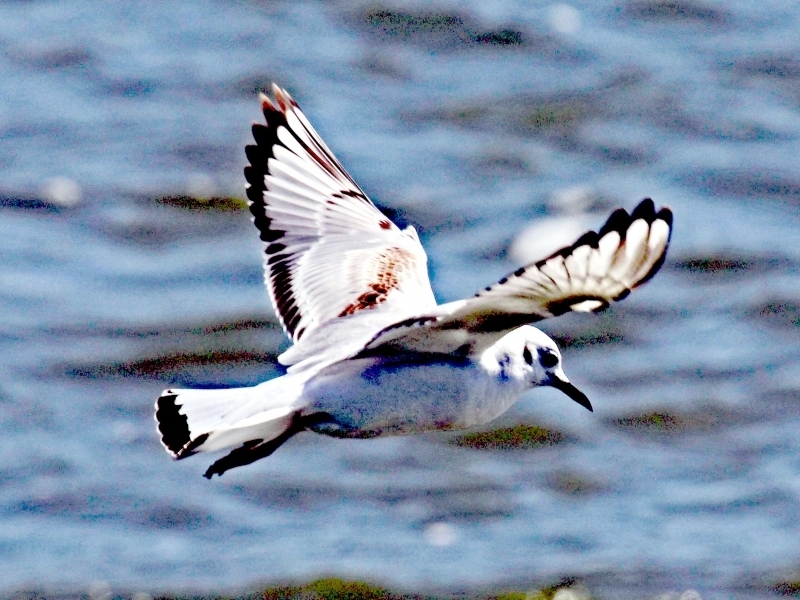 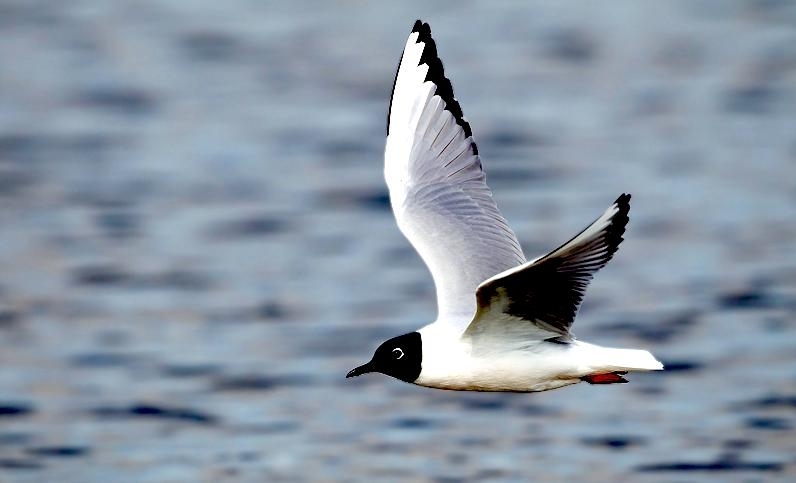 The Bonaparte’s Gull is often described as delicate and tern-like in flight. 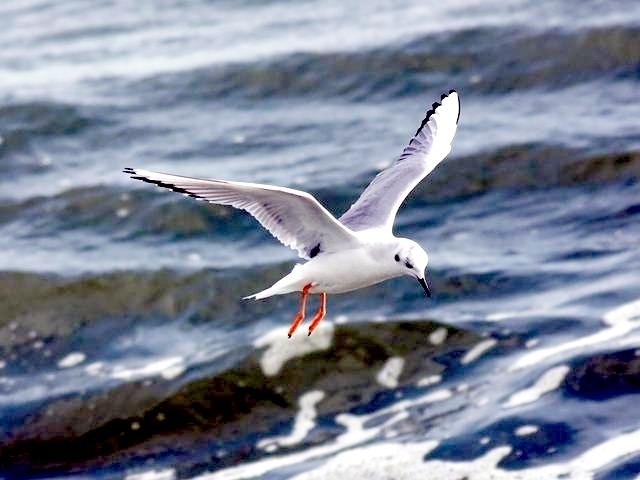 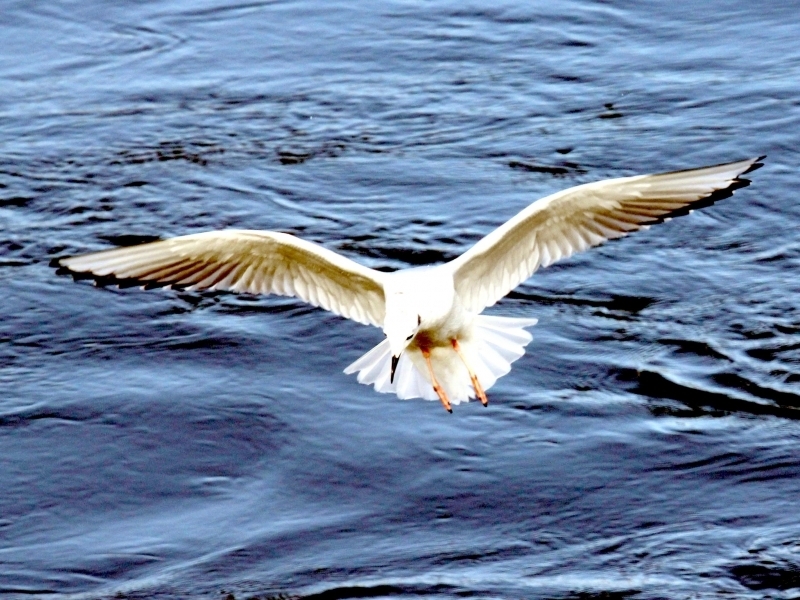 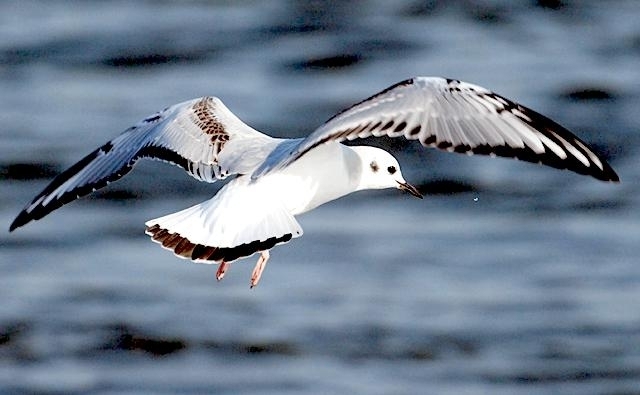 This gull has narrow wings, a slender, black, pin-like bill and pink legs. 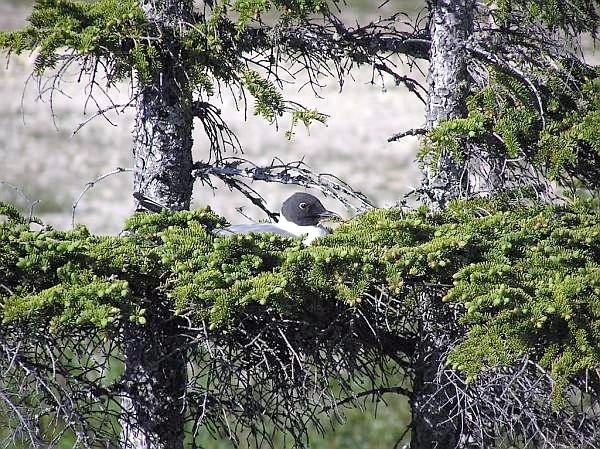 It has a light slate-gray back, with a black line down the trailing edge of the outer wing and a white belly. 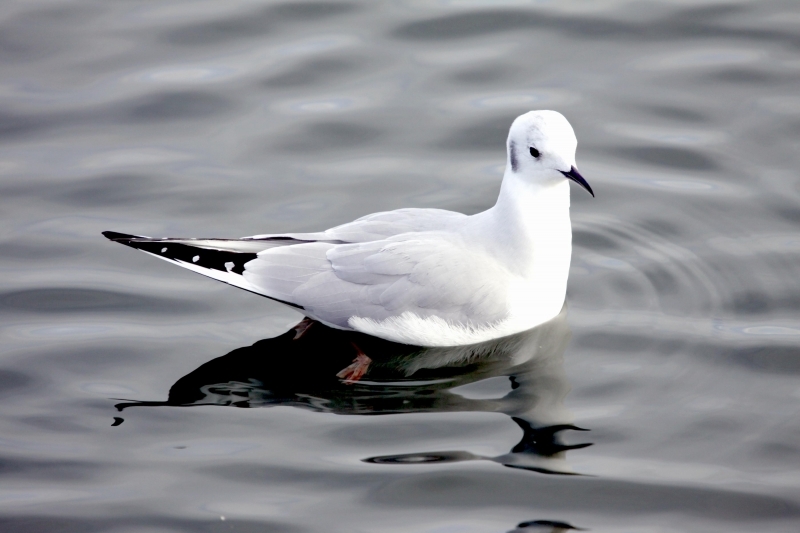 The leading edges on the upper surfaces of the outer wing are white. 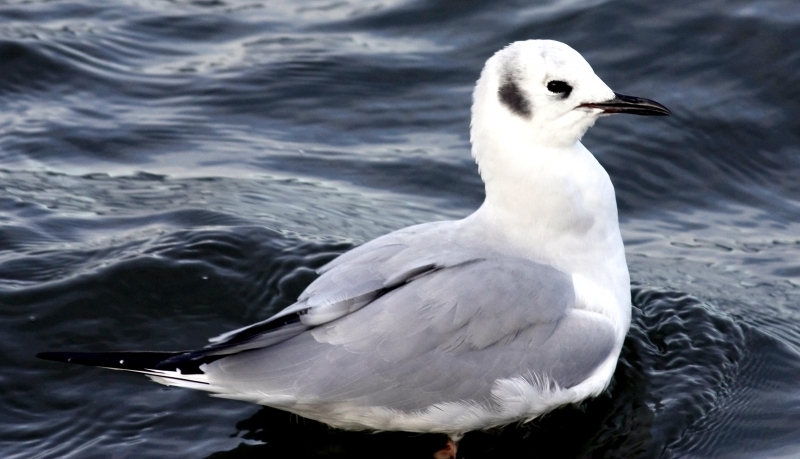 In breeding plumage, the adult has a black head and an incomplete white eye-ring. 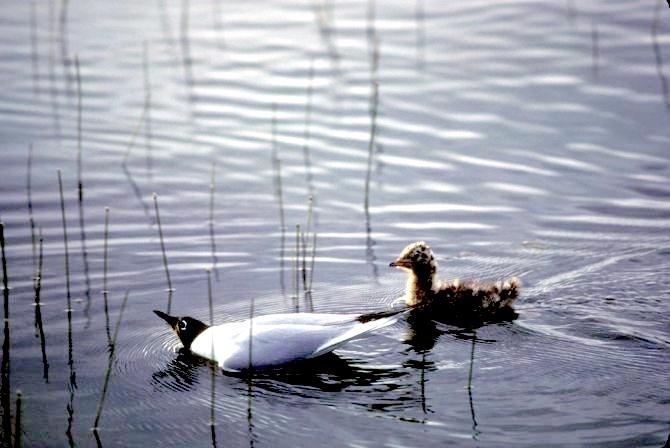 Non-breeding adults lack the black hood. The breeding range of the Bonaparte’s Gull extends across northern North America from western Alaska to the Hudson Bay. 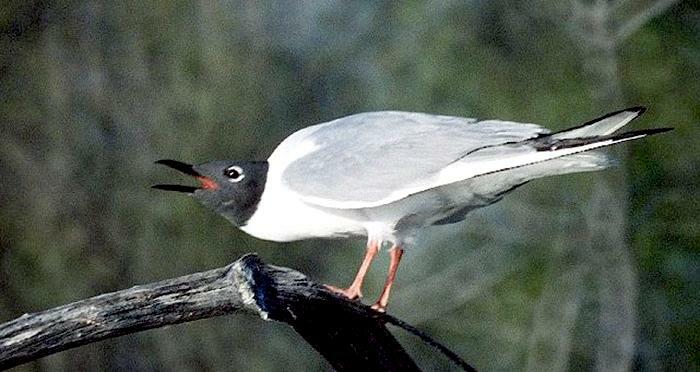 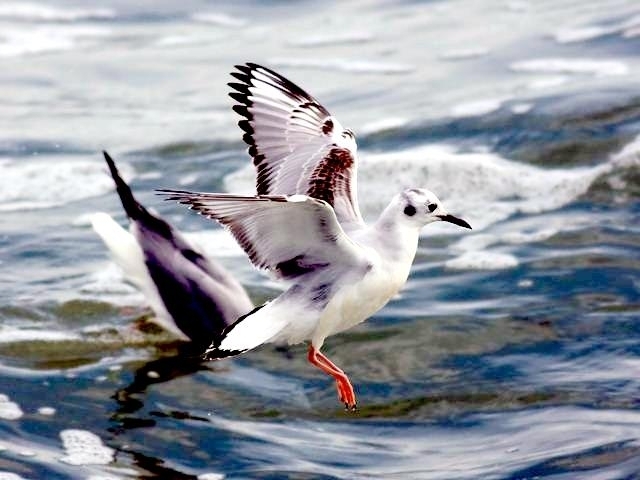 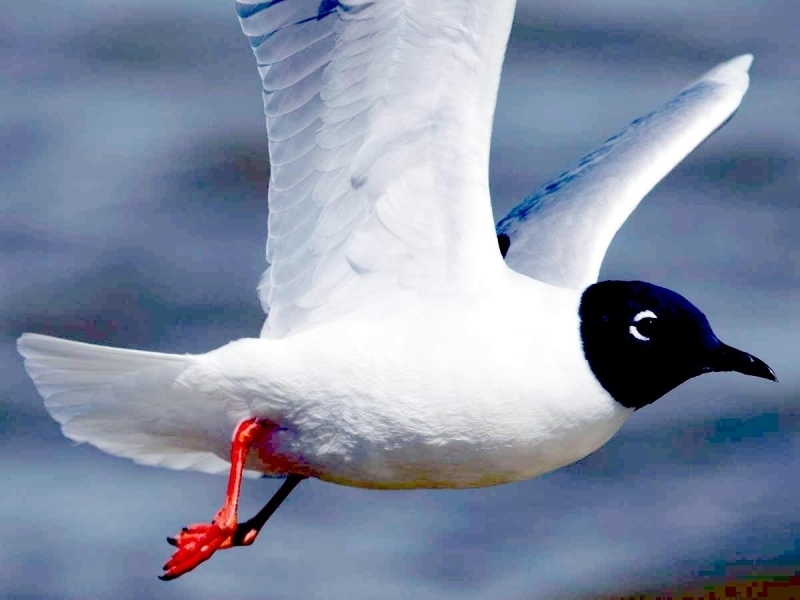 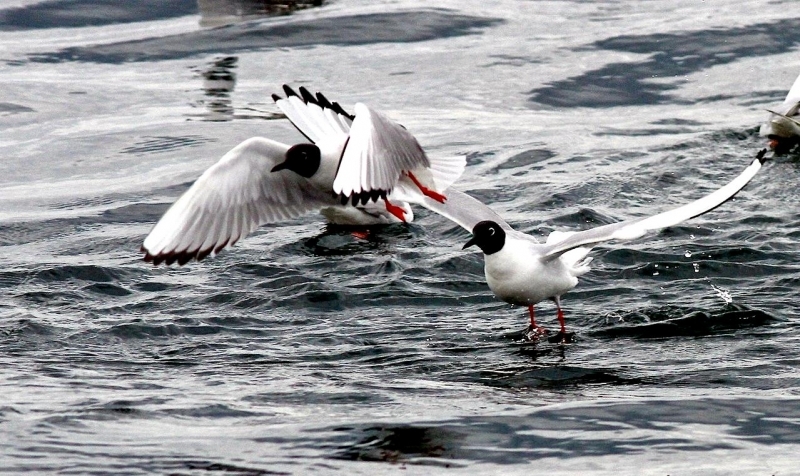 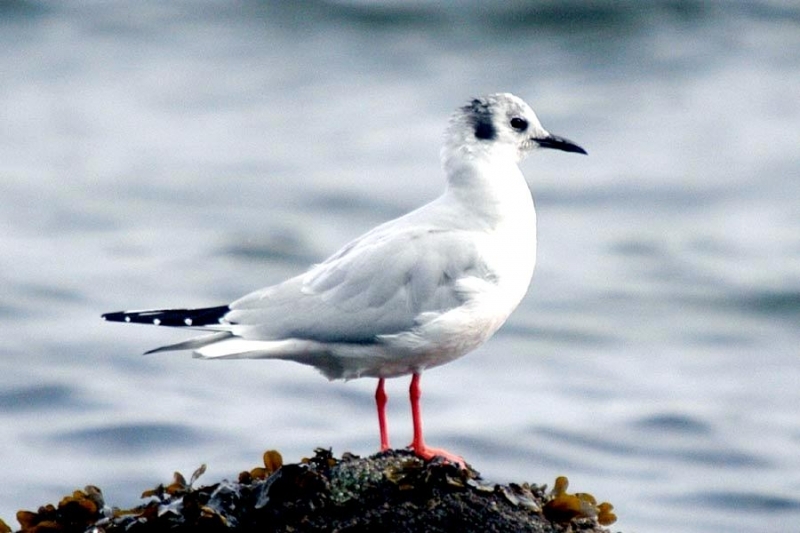 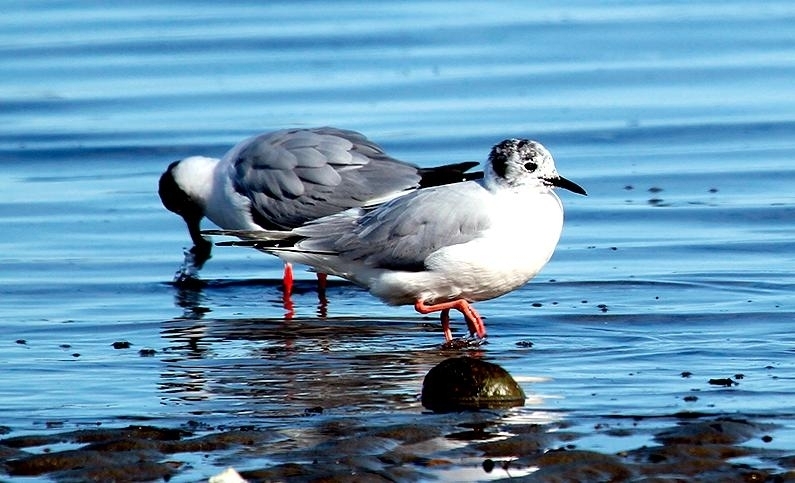 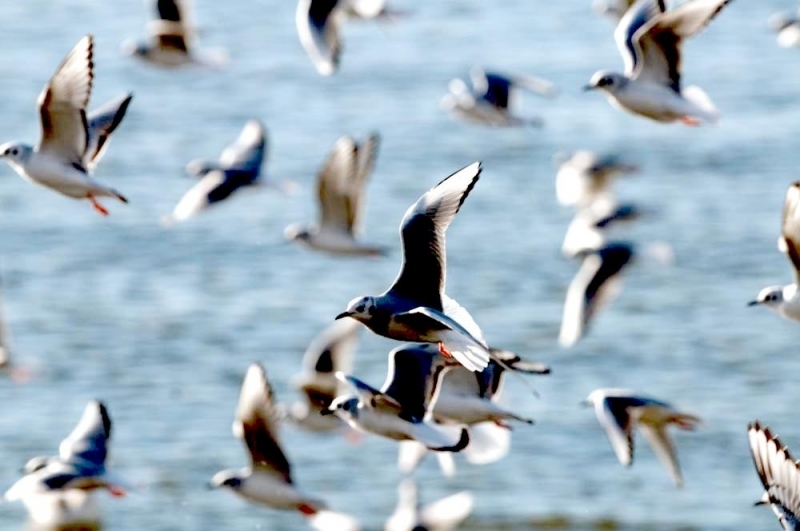 The Bonaparte’s Gull is the smallest widely distributed gull in North America.